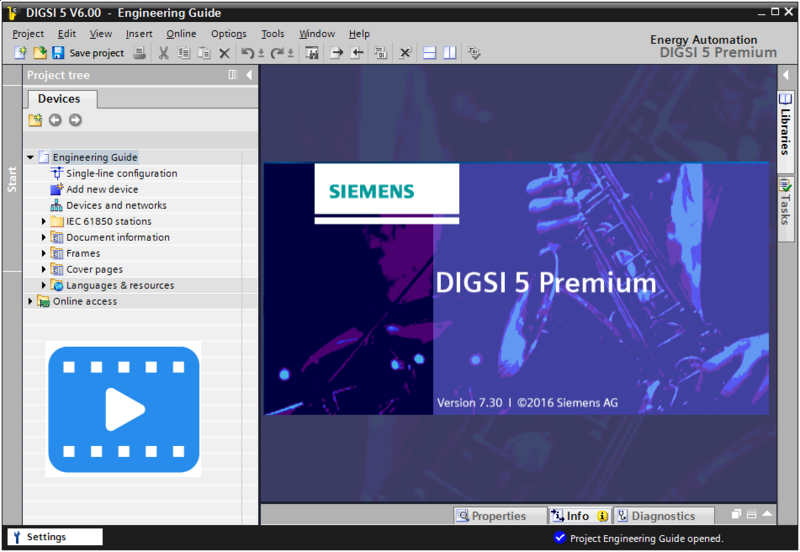 Part I : This video gives you a quick introduction to practice oriented working with Digsi 5 Software. In this Digsi 5 tutorial series, a single busbar configuration with a coupling divides into 2 sections. There are several outgoing feeders. In normal condition, the coupling is open. Each busbar section and outgoing feeder supplied with energy through their own feeder. If the energy supply from the feeder 1 is failed, the Bus 1 would be without energy. In this case, feeder 2 should an automatically supply the feeder 1 with connecting the coupling. In this Digsi 5 Tutorial series, the automatic switchover with the help of CFC function is described. Based on this function whenever the loss of energy in CB1 is detected, an indication would be sent to coupling via communication and the coupling CB would be closed. This tutorial shows you what is essential for solving the mentioned task. Part II : Digsi 5 manages parts of a system and all of the data associated with it in a project-oriented manner. Topology, devices, parameters, communication settings, process data and much more are compiled and stored under one project name. Therefore, all you have to do is open a project in Digsi 5 and will access all data immediately. It is possible to modify all part of project in Digsi 5. In the project three, you have access to data and tools. Digsi 5 displays all editing tools within the working area. For example, the single line editor, the information Matrix, or the Display editor. The global Digsi 5 library plays a particular role. it contains a multitudes of elements which you can insert in the project using drag and drop. For optimum working, you have the flexibility to adjust the user interface of Digsi 5 and you can change the size of the individual window or hide windows if required. Also with split function, you divide the Digsi 5 working area vertically or horizontally. The Elec-Engg provides a full package for Digsi 5 which contains following items.